MSL Creative operate as a small business providing Internet web building, design and development. Supporting sites during and beyond the completed live site. We are a reseller offering a hosting service provided by Invictanet a specialist based in Kent with server farms in London and Kent. Our professional services provide you with a website plan and implementation process including photography requirements of your products and services. We can provide references on request should you need confirmation of our work. Also see our testimonials. To find out more about our photography services either click the link of see under services our photography page. We offer a full hosting service as a reseller for Invictanet, a company we have worked with for many years and are able to offer our small business package. So while Invictanet make sure your website stays online we are able to focus on creating your website and making sure you get the exposure you need to progress. The package comes with an integral CP (control panel) including optional add-on’s as required, PHP or MySQL, perl, unix, Microsoft and many more are available. The result of our relationship mean you have two support levels with an over lap all within the package. 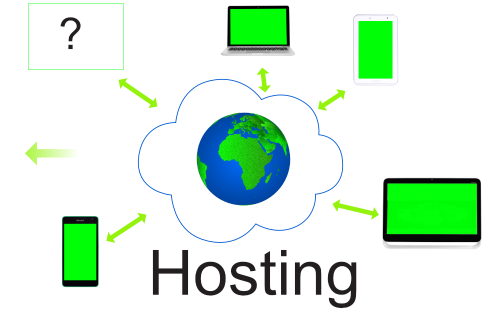 Web site hosting is an essential part of being able to see your www website online, if you are familiar with web sites and how they are setup then you do not need to read this part. ii Web site pages, text and photographs. Hosting services vary in content as much as cost, it is important to get a hosting service with the right exposure for your business that include any essential additions. Web pages can be created using a variety of different platforms including HTML, MySQL, PHP and WordPress and while you are interested in the final visual result making your business look like the best in the market, it is also important that your hosting service doesn’t limit your development options. We work with Invictanet a hosting company based in Kent who only focus on the hosting services, this means they are not a multi functional business offering an everything operation. With servers based in London and Sandwich with direct links to the backbone of the UK Internet they are in a prime position to use for hosting your website providing a head start in visibility. We as web developers are able to offer a special package for small businesses and we pass this opportunity directly to you the customer, we then focus on building your site. What is a SSL and why does your site need one. What is an SSL certificate? It is a small file that encrypts communications between the website and visitors connecting with the website it also displays a padlock in the browser address bar to identify a secure connection. Why would my site need a secure connection. The first reason is to make the site compliant with Data Protections Act 2003 THIS DAT NEEDS CHECKING. The second reason is to make sure visitors to the website are secure and protected when completing contact forms to ensure the information declare is kept confidential. Note: The website address will be displayed as HTTPS://www… and non secure sites are displayed as HTTP://www…. The progressive move over to secure sites will probably mean that in the next 5 years or so most if not all site will be secure. The image below shows the address section of the browser with the padlock and the address starts with HTTPS:// confirming a secure connection.